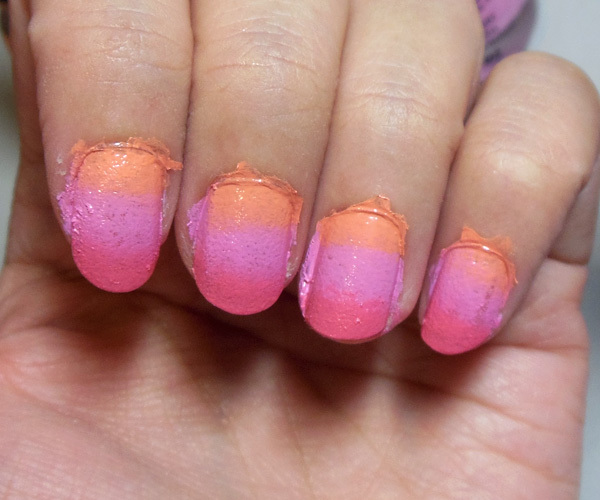 Hot pink, pastel pink, and peach ombre nails. 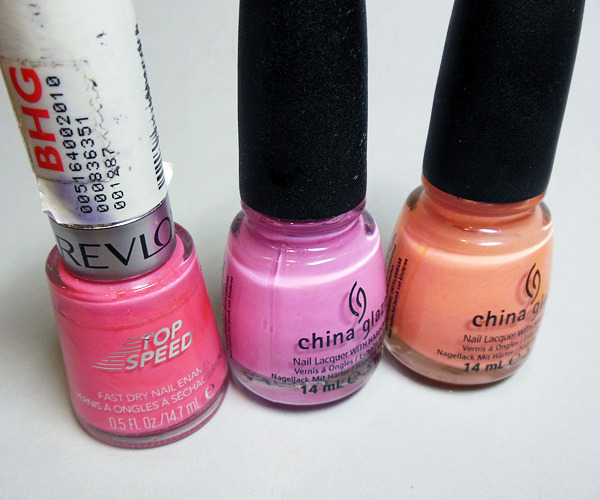 I was lemming sweet, fun, candy colors so I decided to do a pretty combination of peach (China Glaze Peachy Keen), Pastel Pink ( China Glaze Dance Baby), and a Bright Primrose (Revlon Top Speed in Candy). 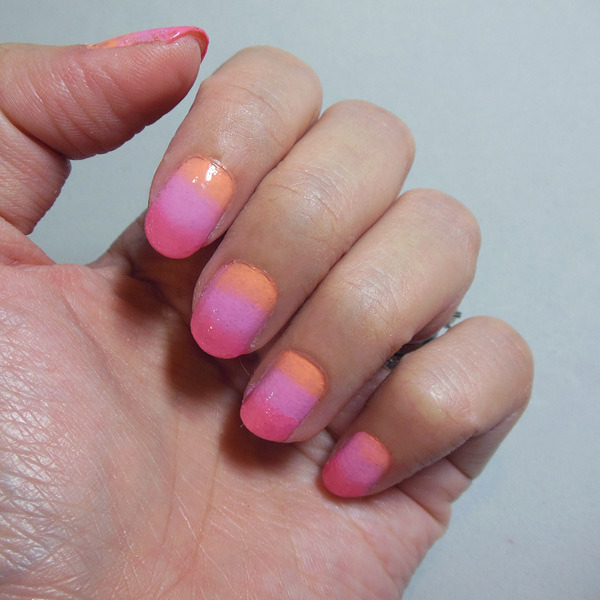 This is an easy way to get a 3-layer ombre effect. 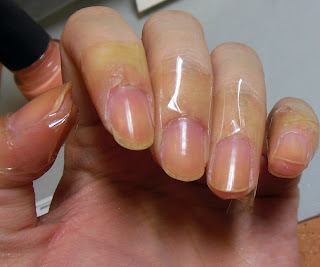 Step 1: I first began by applying base coat, and then stuck tape along the sides of my nail. This will make it slightly easier to sponge my nails later without making too much of a mess, but it's up to you, because taping does take quite a bit of time. Step 2: Apply 3 thin stripes of polish beside each other on one end of the sponge. 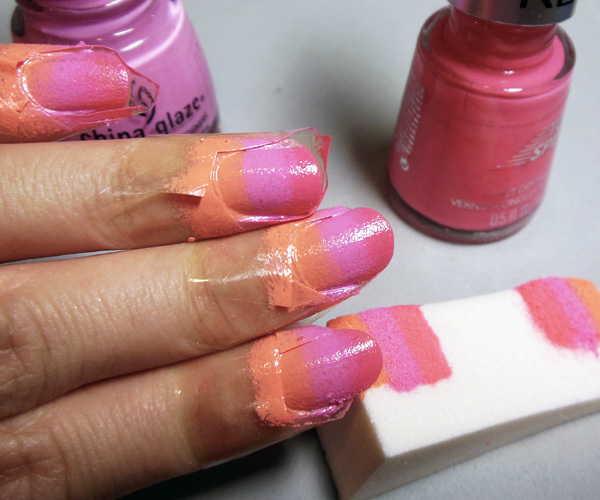 Then firmly roll the colored section of the sponge over your nail sideways, making sure you get all 3 colors onto the surface. It won't look perfect at this point because you'll need to do 2-3 coats for the color to even out and look more opaque. Step 3: Go over your nails a 2nd or third time. You'll need to switch to a different side of the sponge after awhile, because repeated usage will make the same spot start to disintegrate and cause little fuzzy bits to start coming off on your nail. Build up the layers until you are happy with the result. 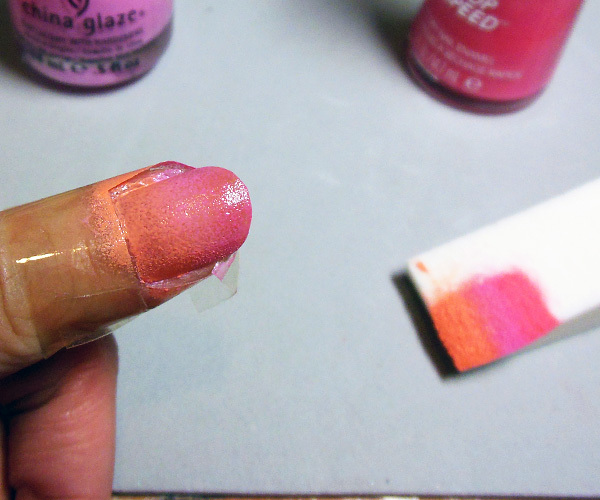 Step 4: Remove the tape from the sides, and then see if you need to touch up the nail bed with a little peach, or the tips with the hot pink. 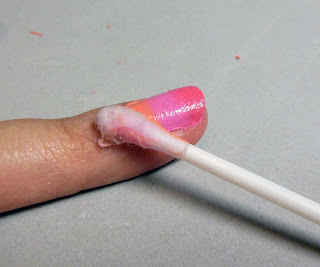 Step 5: Dip a cotton bud into nail polish remover and then gently clean off the sides where the polish has gone beyond the nail. If you didn't use tape, you will need to do quite a bit of cleaning at this stage. Step 6: Let dry for a few minutes and then apply top coat to seal! Hey Natalie, I'll look into this once I get back home! In the meantime you can follow my Facebook group (link on my Tumblr) if you have an FB account. Everytime I make a post it's fed to the FB group.